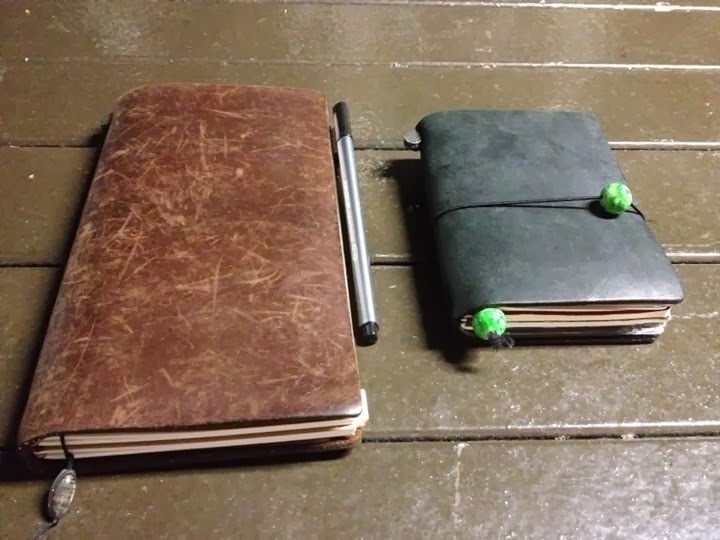 I own 2 Midori Traveler's Notebook; one Regular Size, and the other, Passport Size. To make things simple, I will call this notebook, MTN. 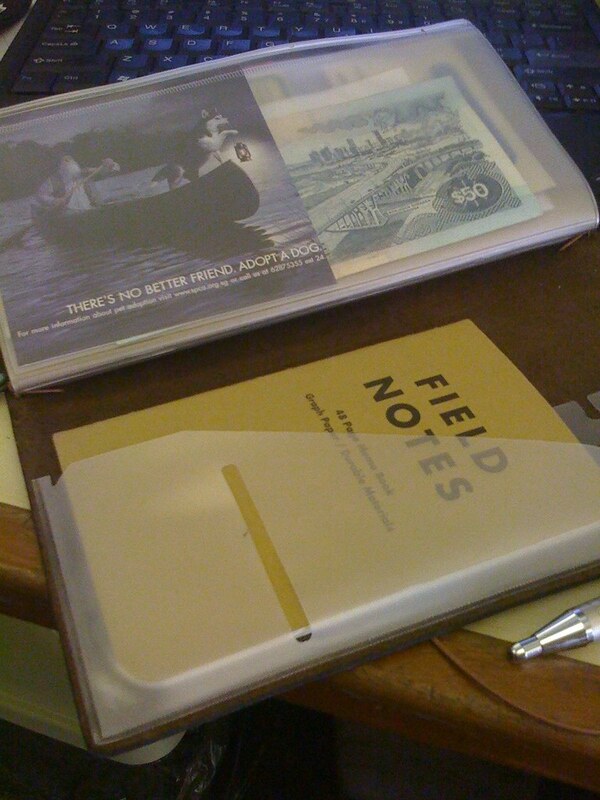 I got my first Traveler's Notebook in Feb 2009, and only the Regular Size was available. The initial package, also known as the Starter Kits, comes with a white cotton bag, a leather cover, 1 blank notebook, and some spare elastic bands. 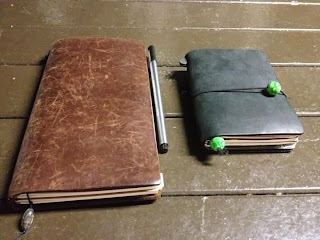 So what is a Midori Traveler's Notebook? 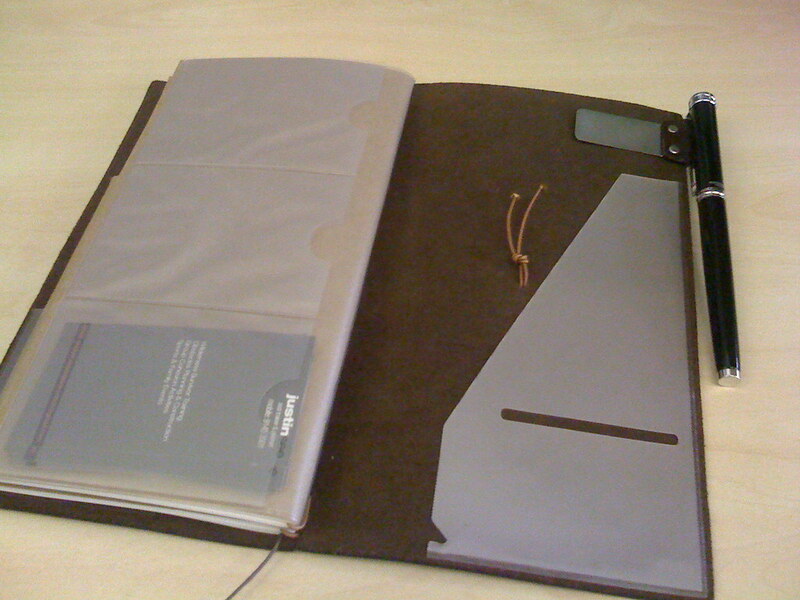 Basically, it is a leather notebook cover which allows the user to hold up to 4 notebooks (refills). 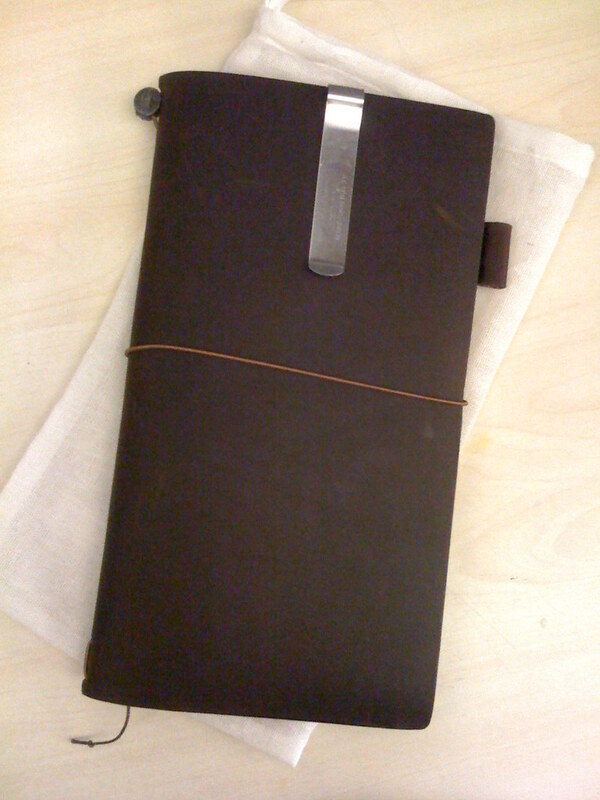 Inside the leather cover, there are 2 elastic bands to hold down the notebooks. 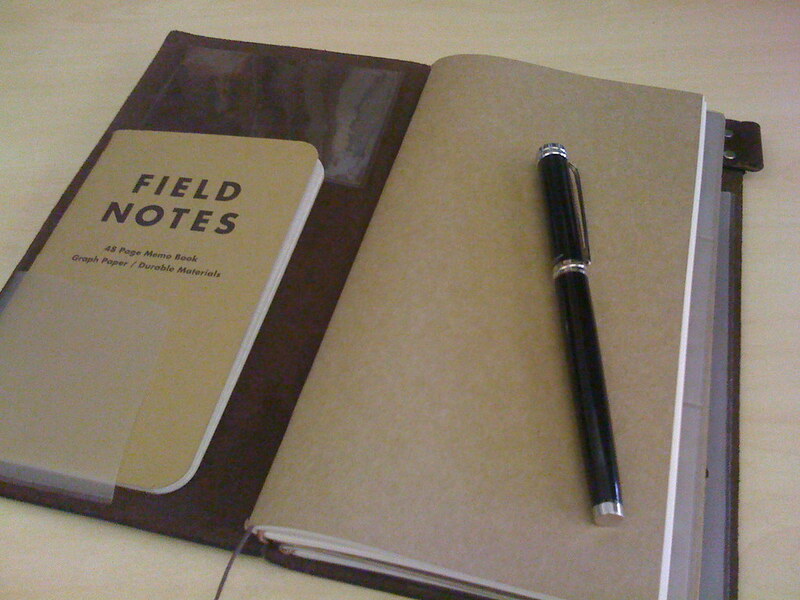 What's so special about Midori Traveler's Notebook? 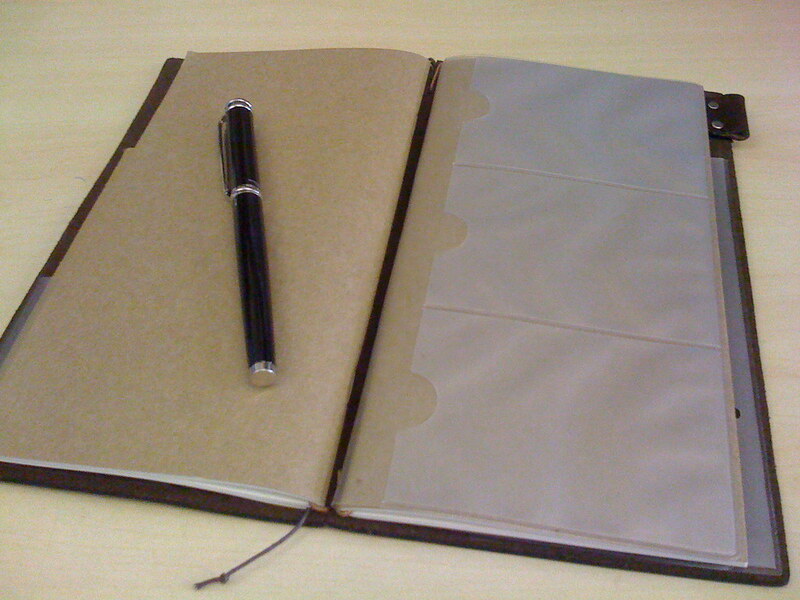 The unique part of this notebook is that the user can customize the notebook to his/her own preference. There are many accessories available for the users to build the notebook according to their needs. Pocket Sticker to hold additional notebook. Card File to hold business cards. Pen holder to hold pen by the side of the notebook. Pocket sticker to hold document at the back of the notebook. Zipper pocket is similar to having a small zip-lock bag inside the notebook. Beside the wide range of accesseries that allow users to customize their MTN, the design of MTN also allow the users to carry more than 1 notebook in one system. As you can see, I have 2 notebooks in my system: each notebook serve a different purposes.